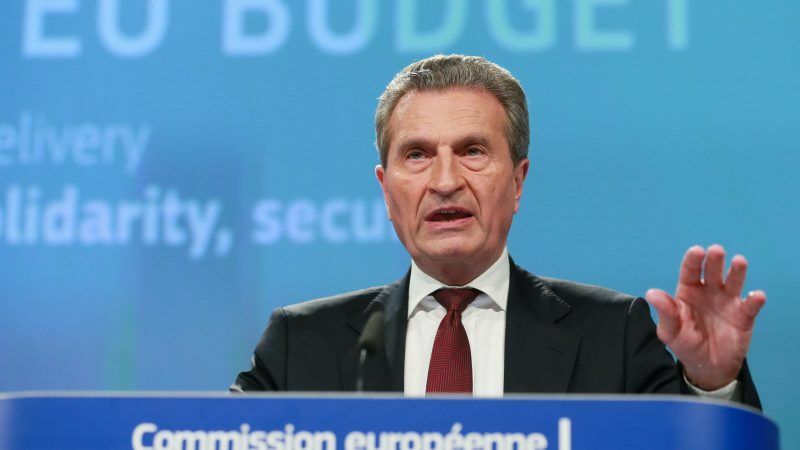 European Union Budget Commissioner Günther Oettinger apologised on Tuesday (29 May) after comments suggesting Italian voters would be punished by markets for voting for eurosceptic populists caused an uproar in the country. “I fully respect the will of voters being left, right or centre and in every country. By referring to the actual market developments in Italy, I did not mean to be disrespectful and I apologise for this,” he said in a statement. Markets will persuade Italians not to vote for the two populist parties that have tried and failed to form a government this month, the anti-establishment 5-Star Movement (M5S) and the anti-migrant Eurosceptic League, the EU’s budget Commissioner said earlier in an interview with Deutsche Welle.
? PAZZESCO, a Bruxelles sono senza vergogna.